It’s taken me years but I think I can enjoy both lives without too much regret. I’m a workaholic when it comes to 8-5PM ish but I do enjoy my weekend,s yet vacation time is scary. 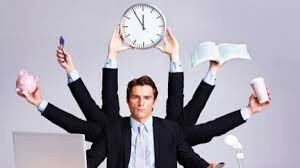 For when I’m on vacation can I truly leave work behind and more importantly when I come back how many more arms will I have to grow just to catch up? I have feared that the laziness of being on vacation might enter my work life as well. Today I find out as my relaxed fun vacation time comes to an end and work begins again. G-D willing I’ve learned my lessons and realize NYC can’t be conquered in a few hours but might take a bit more patience and even time. That I can go on a vacation without having the vacation take over me. It’s time that I perfect both lives and therefore learn to enjoy life as a whole. There are two worlds we can experience and still be conscious. 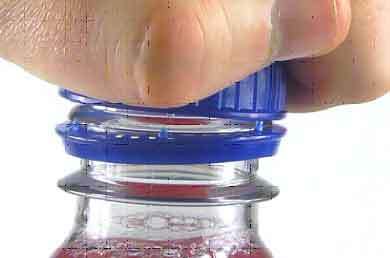 The first world is similar to the opening of a bottle cap where we become part of the existing world around us and all the experiences related to it. The other is the closed bottle cap where our lids to the outside world are shut and we experience our own vision from inside. We might see flashes of lights or small patterns emerge that don’t occur in the open world. 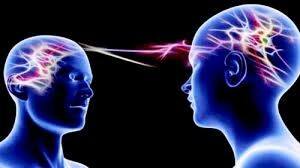 Both visions can help you relate to these separate worlds that exist even when we are just in one. Sometimes when that bottle cap of our life is wide open it’s best to close it for a moment and see the calming images that pass by whether they be real or in our mind. To complain or not that is the question. The shower for my cruise was too hot but I assumed that this was just the way it was so I waited 3 days before I said a word as if my thoughts could somehow fly to others. When I spoke up they had told me this was a normal plumbing problem and fixed it 10 minutes. Yet when I started my trip there were many who complained that they couldn’t get on a special ride and that they would never go on a cruise again because of this situation. I instead was calm and waited until I felt the moment was right and instead of complain implored these individuals for this opportunity. The next day I was on the ride with the same individuals who vociferously complained about the situation in the 1st place. The point is there is a balance, don’t accept things as they are but ask politely and as Teddy Roosevelt would say have a big stick in case the answer is negative. 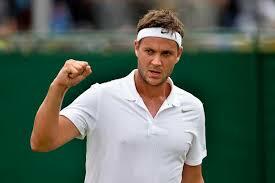 Marcus Willis is a perfect example of why individuals such as I watch sports. For Marcus shows how giving it one more chance can turn your world upside down. If you decide to stop feeling sorry for yourself for where you are in life and instead dedicate yourself to a dream sometimes those dreams can awake into reality. Marcus was ready to give up his life shooting for that tennis dream but a girlfriend who truly was special convinced him otherwise and he caught the last spot in the Wimbledon tournament. He moved up to play the top player in the world and although that win was not in his hand and racquet that day just being there was victory enough. Marcus demonstrates that it is not life diversions that get us to the ultimate goal but hard work, determination and a little help from a friend or two. 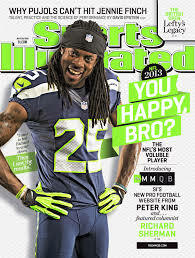 Sports Illustrator has jumped the Shark (T.V Term) with it’s cover of Caityln Jenner which has more to do with political corrections then anything to do with sports. Of course the cover on a sports magazine will grab some initial attention but what does Caitlyn have to do with sports or more importantly their customers today. They forgot the key ingredients in any business their customers for imagine going to KFC and finding they only sell carrots and celery. They management of that KFC might believe it’s good for the customers but those same customers will vote with their dollars to go to restaurants such as Popeye’s instead. Magazines such as Sports Illustrator are dying to do online reading but I’m afraid that the cover of Caityln Jenner has just given them a new shovel. With all the little details in planning a cruise wouldn’t it be good to have an expert figure it all out a “Cruise Planner” would do just that. This planner would go through all the details such as where to park, what activities you need to book in advance, which restaurants serve the best food for you to even understanding how your shower door and lights work. They will be with you along the way so if things don’t go according to plan you have someone with a name that will help find another route. Most importantly they will ask all the pertinent questions and have the answers that we often over look when planning such a trip. 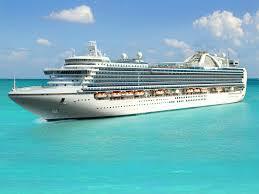 It’s time that your plans for Cruisers including more fun and less hassle then it’s time for a “Cruise Planner” . As the years way on we can turn to the grey side or stay in the black. I continue to stay in the black while many of those around me even the one’s 20 or more years younger have drifted toward the gray. 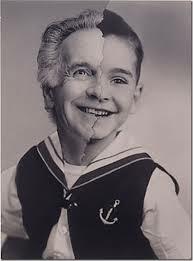 Maybe I have a Peter Pan trait but to me getting old is state of mind and sometimes body, in which that body part can be thrown overboard. I may not be the last one to leave a party but am always one that wants to go to one even if it’s for a short stay. Those that get easily embarrassed should stay far away from my path for I’m not afraid to sing, dance and generally look like a fool if it’s all for fun. I hope to hold onto this trait for as long as I can even if those around me get grayer by the minute. 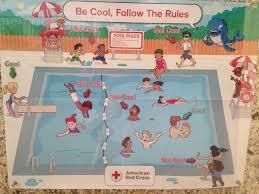 The Red Cross poster that portrays being “Cool” as white people following the rules and African Americans as doing the opposite is not only racist but stupid. Betraying African American’s as being uncool is like betraying an Apple as rotten for although their are some Apples that might fit such a description we don’t assume most are. In other words African American’s have had to suffer from many stereotypes that are hurtful but being cool is not one of them. 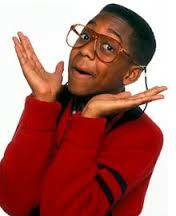 How a marketing team came up with this concept is behind me but watching too much Urkel from Full House must have played a role.